09:00 | Lima, Feb. 6. 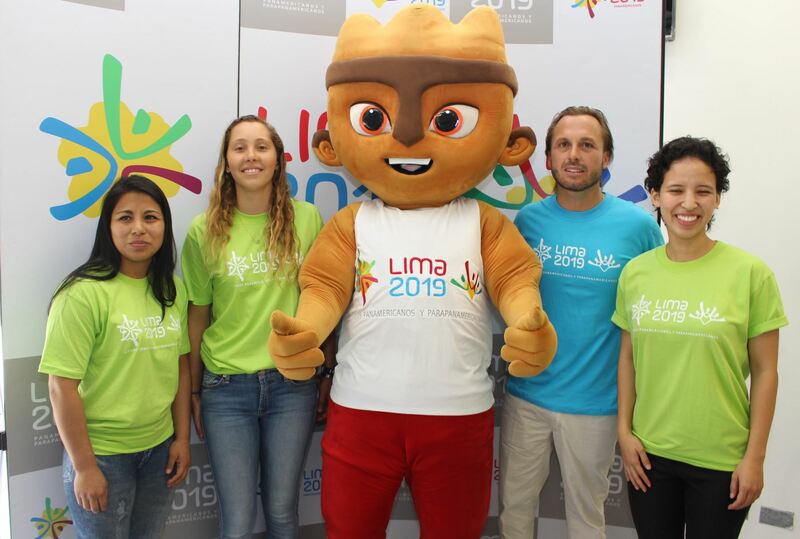 The Lima 2019 Ambassadors Program is an initiative of the Organizing Committee of the Pan American Games and Parapan American Games Lima 2019 (COPAL) that involves athletes from different sports. "I'll work three times harder for the Pan American Games." Lima 2019 Ambassador and Para Badminton Athlete, Jauregui is one of Peru's best bets to grab a medal at Lima 2019 Pan American Games. Ranked 4th in the global standings and chosen Americas Paralympic Committee's (APC) player of the month in November, she works hard in order to improve her techniques and tactics: "I'm moving to VIDENA this year. Everything will be stricter, and I'll work on the psychological side towards the Lima 2019 Games." "I'm motivated to become the best at Lima 2019." Lima 2019 Ambassador Osma is a prominent water-skiing competitor in Peru. At age 19, she made it to water-skiing finals at Toronto 2015, she earned a gold medal at Santa Marta 2017 Bolivarian Games, and has recently won three gold medals at Peru's National Championships. She now aims to reach the Lima 2019 podium: "I'll be under pressure at Lima 2019 Pan American Games, maybe more than ever but, at the same time, this encourages me to do my best, bring joy to the country, and grab medals." "My dream is to win gold at Lima 2019." The Peruvian windsurfer Bazo has not stopped training, nor put aside her dreams and hopes for the sports field she masters: winning gold in Paracas, the city where she grew up and host venue for this sport: "I'm excited and proud that the Pan American Games will be held in Peru. This will allow us to put our culture, people, and joy on display for the world to see. Let's show them who we are." Nathan Adrian, winner of five gold medals at the Olympic Games. He is one of the best swimmers to date. The U.S. national won gold in the 4×100m freestyle relay at Beijing 2008 Summer Olympic Games, as well as in the 100m free, 4x100m medley relays at London 2012. He also took gold at Rio 2016 in the 4x100m free and 4x100m medley relays. In order to get his sixth Olympic medal, the powerful Adrian will make use of all his extraordinary skills at National Sports Village's (VIDENA) Aquatic Center, where he expects to qualify for Tokyo 2020. Erick Ortiz dreams to reach the Parapan American Games. His 6.53-meter throw in the shot put, at the ICP Mexican Para Athletics Open, secured his ticket to his country's pre-national team, which is getting ready to compete at the 2019 Parapan American Games. "Even though there were far fewer competitions this year, I obtained good results at the main event (the Para Athletics Open), and this allowed me to join the pre-national team, which is getting prepared for the Lima 2019 Games." Alam Gonzales and his great challenge to reach Lima 2019. His main goal for this year is to join the Mexican Para table tennis team that will compete in the Lima 2019 Parapan American Games. To this end, he must showcase his best skills and level of competition at the Selective Tournament to take place in Mexico's Olympic Center. "My main goal is to be among the top ones and be part of the team that will travel to Lima. It will not be easy, since in front of me will be the champion and runner-up in this Para sport," Gonzales pointed out.